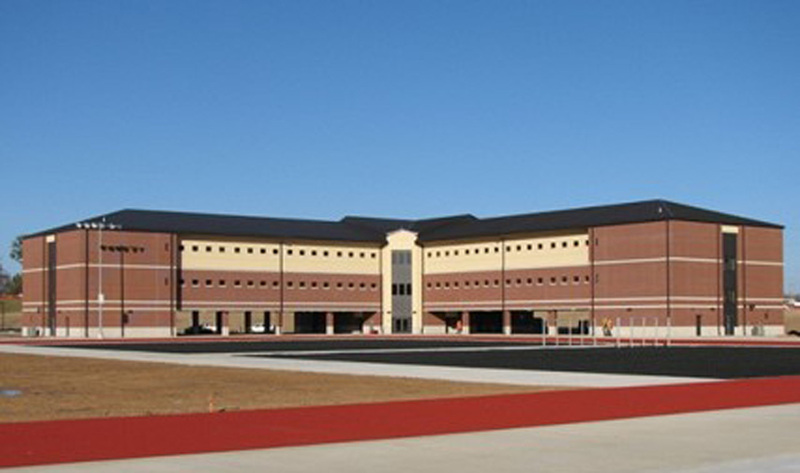 Benham served as Lead A/E for the design-build of a new 202,567 SF, multi-building Basic Combat Trainee complex consisting of four Barracks/Company Operations Facilities (BCOF) and a Battalion Headquarters facility. Each of the three-story BCOFs will support 240 trainees and 20 training/admin staff, and includes the following features: Offices, Arms Vault & Combat Gear Storage Rooms, Scrub Room for cleaning TA-50 and field equipment, four trainee sleeping bays with lockers, showers/latrines, laundry, weapons cleaning area, 60-person classrooms, TA-50 Storage Rooms, and two covered assembly areas. The 19,475 SF Battalion Headquarters houses the battalion staff to include the Command Group and Unit Ministry Team (UMT) offices. Features include: 240-person partition-able classrooms, conference room, admin and reception areas. Additional complex features included a closed quarter mile running track, four physical training pits, four pull-up bar sets (4-station), lawn maintenance building, and POV Parking (94 spaces).